Planning ahead with your marketing campaigns: The most practical promotional products for winter | Branded Merchandise, Promotional Gifts, Corporate Clothing & Merchandise - Keeping your business busy! We’re still enjoying the last throes of summer but as always your marketing calendar should be looking weeks and months ahead to winter and all the opportunities the colder weather and festive season will bring. Here are some very useful items to giveaway to customers to keep them thinking about your brand all season. Ice scrapers have to be the number one necessity for winter road users. These can often be over looked as an ideal promotional product for your company, but sure enough this is one promo product your customers will cling to. Small and easy to store in a cars glovebox and something your customers will reach for year after year. Prices start from as little as 15p per item and offer full colour branding. We have lots of different sizes and styles to choose from. You can even buy ice scrapers to fit your wallet, and work much better than a credit card! These may not be used on a daily basis, like a mug would, but have a long-lasting life span, for winters and winters to come. Wearables make great giveaways, for kids too. From fingerless to touchscreen sensitive gloves we have it all. Bandanas are useful to keeping the cold off your face, great for outdoor companies, dog walkers, car washing and mechanics, your employees will appreciate these as a gift to keep them warm while they work hard. Branded with your company name, customers will fall back on such a reliable brand. Drinkware will always be a best-selling promo item, but during the coldest months of the year, resusable hot cups, travel mugs and china mugs become even more popular, to be filled with coffee, hot chocolate and warming mugs of tea. And with a great branding space and many colours to chose from, these make a great choice for your winter budget. Don't take the risk of your brand vanishing when a mug gets broken! Especially if you work outside choose one of our long-lasting hardwearing and virtually indestructible British-made plastic mugs. All of our mugs are made from high quality food-safe plastics and have a 300ml capacity. We offer fantastic branding areas to each of our mugs and they're all available in a striking colour palette of twelve popular colours. Travel mugs are the way to your clients hearts this winter. While you may look at a travel mug and think it’s a mug, you clients will look at it as a gift for them to help them survive their commute to work throughout the cold winter months. These reusable handwarmers are a fantastic product that your customers probably didn’t even realise they needed. Simply click the internal metal disk and pop in your pocket and warm your customers hearts in seconds. 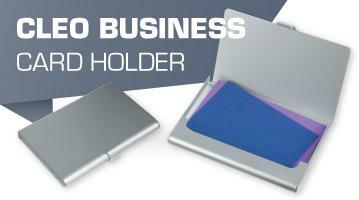 At just £1.24 each, this is a great promotional giveaway that will be greatly appreciated, suitable for smaller budgets. 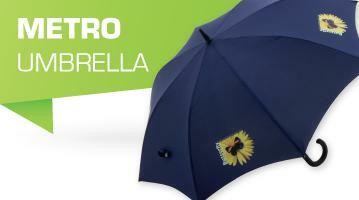 Brollies will always be appreciated and are great for a range of different brands. For any outdoor companies, garden centres, so your customers can browse the outside department - rain or shine, the list goes on. Brollies are useful any time of year, you never know when a shower will hit. Another great product with a long-life span, that can be stored in a car boot for that unknown moment. With a large branding area and many colours to chose from, you’ll be sure to find a perfect fit for your outdoor event. With products like these, your customers and employees will make it through the winter – and all the while remembering your name. Browse our catalogue, or call or email us your specific requirements for a quote to keep your customers warm today.